CHICAGO (WLS) -- Thousands of Chicago area furniture shoppers will be getting their purchases refunded when a local retailer makes good on a promotion based on this winter's snow accumulation. 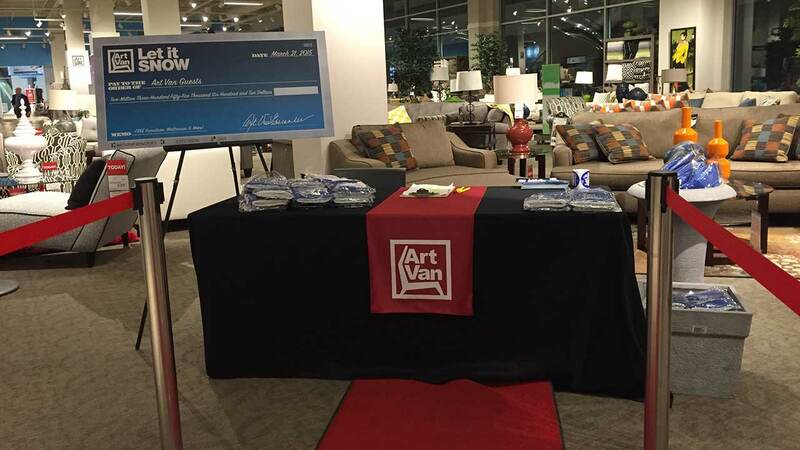 Michigan-based Art Van Furniture ran a "Let It Snow" promotion that said if it snowed more than three inches on Feb. 1, furniture, mattress and television purchases would be free. The season's biggest blizzard brought a record-breaking 16.2 inches, according to the National Weather Service. Shoppers who qualified received an invitation to attend "Refund Parties" in their honor Saturday at one of the company's six area locations. Nearly 3,000 shoppers will be refunded a total of approximately $2.5 million.